When Joe Pulizzi first contacted me to talk about his first book, Get Content, Get Customers, the conversation and ensuing connection over the following years proved to be a positive and productive influence on my approach to digital marketing. Even if this blog wasn’t named the #1 content marketing blog three times by Junta42, our involvement with events like Content Marketing World as a speaker, media sponsor and creator of the Speaker EBooks (Content Marketing Secrets and Content Marketing Rocks!) would still have manifested in one way or another. Joe has been an incredible influence on many and has made a significant impact on the quality of marketing found within many major brands. 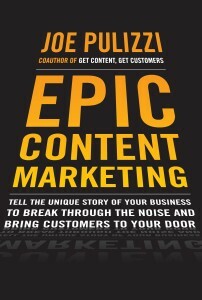 To support my fellow author and friend, I’ve asked Joe to share this guest post/excerpt from his most recent book, Epic Content Marketing, that highlights an often missed component of successful content marketing: Subscription. Scan this post and then go buy Epic Content Marketing before your competition does! Brian Clark, and his software business Copyblogger Media, have almost 200,000 people signed up to get his regular content updates. Kraft Foods has over one million people that request and pay to receive their print magazine, Kraft Food & Family. OpenView Venture Partners now has approximately 20,000 business owners and CEOs request to receive their weekly enewsletter. Two individuals known as Smosh, started developing and distributing videos on YouTube back in 2005. Eight years later, Smosh runs the most popular YouTube channel with 8 million subscribers. Copyblogger sells software to bloggers. Kraft is one of the largest food companies in the world. OpenView is a venture capital company. Smosh is a comedy network. Even though their businesses couldn’t be any more different, subscription is key. Do most marketing professionals view content marketing as an asset? The answer is no…no almost across the board. Marketers view spending on content marketing as an expense. This has to change. An asset, like a house or a stock investment, is a purchase that can increase in value over time. Traditionally, marketing spend has been viewed as an expense. Take advertising: We create the ad and distribute it over a fixed time, then it’s over. Hopefully that expense has transferred into some brand value or direct sales exchange, but the event itself is over. Content marketing is different and needs to be viewed and treated differently. Whatever your goals, whether direct sales goals, lead generation goals, search engine optimization tactics or social media tactics, you are spending more money on content acquisition and distribution. For that reason alone, you need to think differently about acquiring content assets. Yes, you are not acquiring content expenses. You are acquiring an asset! We are all publishers, and that means thinking differently about content and its importance to your organization. When you invest in a video, a podcast, or a white paper, those pieces of content create value in several significant ways. The finished content is used over a long period of time. It has shelf life. The content you create has value long after the investment is paid off (fitting the definition of an asset). The easiest example is content created for search engine optimization. One blog post can deliver returns for years after production. An example of this is Content Marketing Institute’s “What is Content Marketing?” blog post. It has consistently seen traffic consistently over time. This is the reason why we love to create evergreen content that can be relevant for years after creation. Content can and should be reimagined/repurposed. You may start by investing in a video, but at the end of the year, that one video may result in 10 videos, five blog posts, two podcasts and 30 sales tools fit for different levels of buying cycle. When you think like a publisher, everything you develop for publishing purposes is an asset. Having that mentality means that we need to think about all the resources that create and distribute that content differently. It’s not about a marketing campaign…it’s about creating long-term engagement with our customers through epic content. How Does Thinking about Content as an Asset Help? If you treat content as an asset, your organization will stop treating content as that “soft, fluffy thing” that they can take or leave. In every meeting or conversation you have, use the word “asset”. Live it. It will start to rub off and will gain importance in the company. By thinking this way, you will more actively market the asset. I heard a story recently about a company that invested $30,000 USD in a white paper and received one download. That’s a marketing problem, not a content problem. Would you plan to sell your house but not tell anyone about it? A lot of organizations do that with their content. Make sure you don’t make that mistake. In 2008, the Content Marketing Institute was just a year old. We had around 5,000 subscribers to our weekly enewsletter, which was sent out each Friday. As we were becoming more sophisticated with our marketing, we decided to do an analysis of our subscribers. Was more likely to attend our events and purchase our products. Was more likely to share our content with their network. Once in the sales process (for our consulting service), the subscriber closed 3x faster than a non-subscriber. We had the goals of brand awareness, lead generation and thought leadership, just like your organization most likely does. But what we didn’t realize until this analysis was that we could accomplish a number of marketing goals through the one, unified goal of subscription. We found that by developing epic content marketing on a consistent basis, we were creating better customers for our business, as well as accomplishing a number of marketing goals. Our understanding of the value of our subscriber turned our little business into something that was just surviving into a thriving and growing brand. Yes, it’s that important. In 2009, I had the pleasure of hearing Dan McCarthy speak, then CEO of Network Communications and now a partner with DeSilva & Phllips, a leading media investment bank. Dan spoke about the changing mentality of his media company and how they had expanded their definition of subscription. Subscription, for most media companies, is better known as circulation. The circulation of a magazine or newsletter is what you can sell against. For example, our magazine, Chief Content Officer, is delivered to 22,000 marketing executives every two months. This 22,000 is what we can charge our sponsors for reaching (which is generally around $7,000 per full page advertisement). If we only had an audience of 10,000, we would have to charge much less for a full page of advertising. Dan said that his media company was evolving away from this mentality and focusing on subscription around where customers were hanging out, or, the Digital Footprint. Owned subscription sources (i.e., print and email) are still primary because we can actually own the data from those channels. Secondary subscription sources, such as Twitter followers or YouTube subscribers are important as well, but since that data is owned by those companies (and not ours), we can’t place as high an emphasis on those. The point is this…you are your own media company. As a media company, you need to focus on your subscription channels in order to deliver on your marketing goals. And the only thing that keeps those subscription channels growing and vibrant is consistent amounts of epic content. Make content-for-content offers: As readers are engaging in your content, be sure you have a clear offer that takes your content to the next level. This means offering a valued eBook, research report, or white paper, in exchange for subscribing to your email list. You’ll see that we do this on the upper right hand corner of this page. Pop-ups work (for now): As much as I loathe pop-ups or pop-overs as a reader, I LOVE them as a content marketer. We use Pippity as our pop-over service, where we offer an eBook on 100 Content Marketing Examples. Over 50 percent of our daily sign-ups come from Pippity (Pippity also integrates nicely with WordPress). Focus: So many companies want to throw 100 offers in front of their readers. Don’t confuse the issue. If your goal is subscription, that should be your main (and only) call to action. Once you focus on subscription as your goal, make it a priority to find out what makes a subscriber different to your business than a non-subscriber. Once you find that little piece of secret sauce, everything will start coming together for your top-of-the-funnel content marketing program. 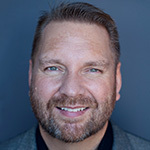 This post was adapted from Joe Pulizzi’s third book, Epic Content Marketing: How to Tell a Different Story, Break through the Clutter, and Win More Customers by Marketing Less, just released this month. 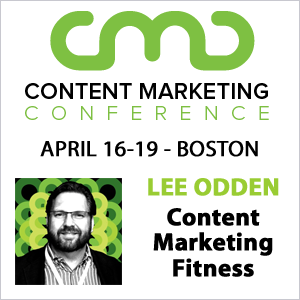 Joe is also founder of Content Marketing Institute, the leading education and training organization for content marketing, which includes the largest in-person content marketing event in the world, Content Marketing World. You can find Joe on Twitter @JoePulizzi. If you ever see Joe in person, he’ll be wearing orange. Boom. I think creating a company-wide attitude shift from considering content an expense to an asset requires living it out by having those publication house conversations right away – planning for new formats, new additions, new edits (new target audiences?) down the line. I did a 1 year stint recently with a large company “heading up” their digital marketing efforts for their nation wide resorts. I use quotes because I was the guy driving the marketing cart but the suits had me fitted with reins of my own so they could steer me. I spent months going in circles with executives about the need to focus on content. Despite my best efforts they continued to require nothing but promotional content. It cost virtually nothing for them to continue using the same old template repeatedly for emailing out discount offers as opposed to creating real, quality, engaging content. You’re absolutely right – they saw it as an expense. This was maddening to say the least. I think I might have had a heart attack if the executives let anyone on the marketing team try to start a real conversation with a customer – let alone use their 300k+ subscriber base for something other than peddling coupons. As a content creator (previously inside a corporate communications organization; now as an outside consultant), this is music to my ears. Our profession has done an incredibly poor job of demonstrating the long-term value of content, and it’s always challenging to get clients to invest in it. Using our marketing acumen to reposition content’s value proposition could be game-changing. One thought to add is the opportunity to bring in top customers as part of the value creation process. This provides the marketer/business with not only a great source of research and innovation, but also an incubator for creating evangelists. Customers involved in the process are also likely to become some of your best sales-people. This is what I was looking for. Definitely I will bookmark it.